Australia is a famously under-populated continent; a vast island of barren landscapes and natural phenomena, with the majority of its cities and well-known attractions huddled around the eastern coastline. But the state of Western Australia actually accounts for a third of the entire country and offers some of the most extraordinary and uniquely Australian experiences for those who choose to divert their attention from the delights of Queensland and New South Wales. Here are just a few of the things to tick off your list when exploring Australia’s alternative destination. 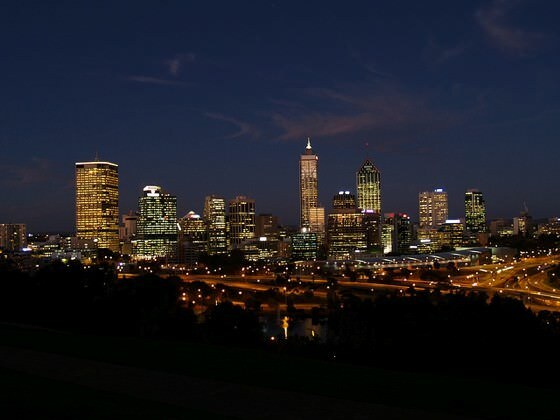 One of the most remote cities you’ll encounter and astonishingly atmospheric with it, Perth hold its own next to the cultural tourist-magnets of Melbourne and Sydney. Plenty of flights to Australia now land here and there are beaches, inner-city parks, and offshore islands, just in and around the city. Even when you’ve exhausted the central attractions, there’s still the wine-rich Swan Valley and the vast natural bounty of the state parks at John Forrest, Nambung and Yanchep, which is only an hour’s drive away. What with the alfresco restaurants of Fremantle and the Northbridge pub scene, it’s no wonder so many backpackers end up staying longer than intended. If you’re looking for an arty hangout in which to spend a few weeks – or months – try Denmark, on the south coast. This town has a reputation for a laidback ‘hippy’ feel and its out-of-the-way location means it manages to live up to this. Add in the unbeatable wild scenery of the southern forests and Denmark is a great way to experience alternative Australia. Don’t miss the Valley of the Giants – the giants in question being huge 16-metre wide tingle trees – and the superb rambling trails you can take here. The Tree Top Walk has to be a must, even if you’re not stopping long; 420 metres of steel walkaway which literally walks you through the canopies. Forget Hunter Valley, the Margaret River region has all the rural vistas and world-class wineries you could wish for. Even if you’re not a fan of the vines, this coastal community sits against a backdrop of prime beaches and enough caving and climbing options to satisfy the most adventurous of travellers. One of the few places in the world where you can explore the stalactites of Jewel Cave in the morning, catch a few waves in the afternoon and enjoy fresh snapper and the local cabernet for dinner. There’s plenty of interest to sustain a longer trip here, with the casual, surfer vibe and local gallery scene. You’ll have heard all about the Great Barrier Reef no doubt, but while this iconic landmark is certainly worth a visit, you might want to avoid the crowds and coral damage and head for Ningaloo instead. Situated off the central western shores, also known as the Coral Coast, Ningaloo Reef is no-less jaw-dropping than its east-coast cousin and you can cruise, snorkel or dive in relative peace and quiet around the rainbow-coloured lagoons. Dugongs, whale sharks and humpback whales make their home here and there’s a whole World Heritage Site to explore, further down the coast at Shark Bay. 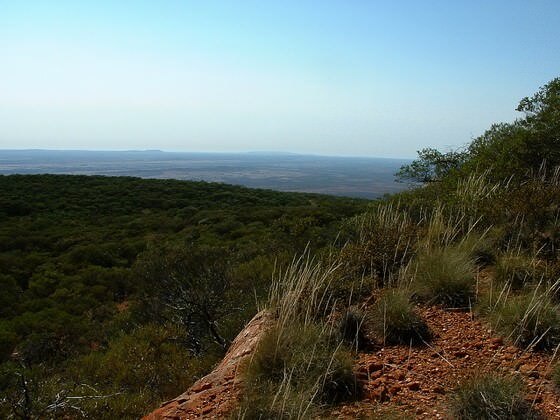 Western Australia’s deserted plains are primordial in the extreme and feature otherworldly red and black rocks, ancient fossilised reefs and dramatic gorges. If you’ve been floating around the Land of Oz long enough to see the major bucket list attractions, this is where to come. Those who mistakenly take Uluru for the continent’s – or indeed the world’s – biggest rock should visit Mount Augustus, some 730 metres in height and artfully graffitied with centuries-old Aboriginal drawings by the Wadjari people. This is a place which will win you serious bragging rights when you eventually make it back home. Cora Wright is currently backpacking round the world, writing where and when she can to finance her trip.